DIRECT GULF FRONT CONDO! Enjoy the best of Beach Living at Redington Towers. This 5th floor condo at Redington Towers has beautiful water views from every room. This spacious 2 bedroom, 2 bathroom condominium home offers a split bedroom plan and a huge balcony overlooking the beach. Relax to the sounds of the surf with floor-to-ceiling sliding glass doors off both the living room and master bedroom. Light and bright, this unit is offered fully furnished and ready for immediate occupancy. 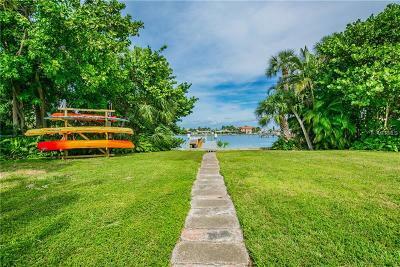 Terrific floor plan with a large kitchen with a closet pantry, lots of storage and a sunny breakfast nook overlooking the Intracoastal Waterway. The master bedroom has a on-suite bath with a step-in shower, walk-in closet and sliding doors to the Gulf Front balcony. Convenient hall bath can be converted to access from the guest room. Guest room is generously sized and features a walk-in closet. Covered under building parking located on the lower level #137 and additional storage. 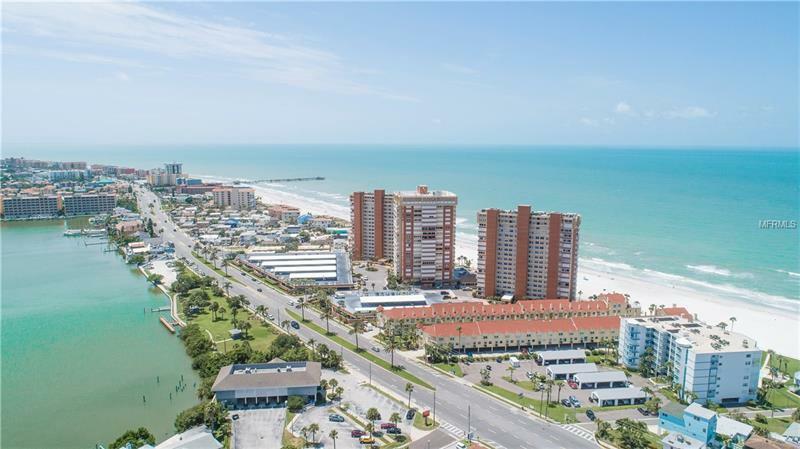 Redington Towers is an exclusive, gated community directly on the beautiful beach of the Gulf of Mexico. Complex features a huge, heated pool directly on the beach, large patio deck with chaise lounges and tables, 24 hour staffed security fitness center, club house, billiard room, library and more. Surf, sand and stunning sunsets await you at The Redington Towers.